It may be the strangest feeling in decades to descend on the Korean Peninsula — a wave of optimism, and not always of the cautious variety, when it comes to North Korea and its nuclear bombs. 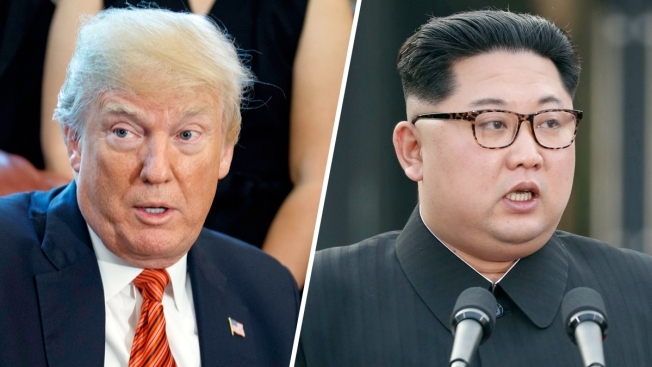 Ahead of a planned summit Tuesday in Singapore between President Donald Trump and North Korean autocrat Kim Jong Un, there has been talk of complete denuclearization, North Korea has shut down (for now) its nuclear test site, and senior U.S. and North Korean officials have shuttled between Pyongyang and Washington for meetings with Kim and Trump. The top U.S. diplomat declared that "Chairman Kim shares the objectives with the American people" amid talk of a grand bargain that could see North Korean disarmament met with a massive influx of outside aid. Skeptics, however — and that's usually the default mindset for many Korea watchers — say there are still plenty of ways that diplomacy can implode. For decades, if a potential deal with North Korea looked too good to be true, it almost certainly was. And wasn't it just months ago that North Korean test-missiles filled the air and Trump and Kim were slinging threats and insults at each other? There are clues that something unprecedented is indeed happening — no U.S. president has met with a North Korea leader, after all. But there's also a recognition that optimism at what might be a once-in-a-generation chance for peace must be tempered with a clear-eyed acknowledgement of what North Korea is aiming to get out of its turn from provocation to diplomacy. Very senior officials from the United States and South Korea have set the tone here, with a huge though indirect assist from Kim Jong Un himself. Seoul quoted the North Korean leader as saying during his recent summit with his South Korean counterpart, "If we maintain frequent meetings and build trust with the United States and receive promises for an end to the war and a non-aggression treaty, then why would we need to live in difficulty by keeping our nuclear weapons?" 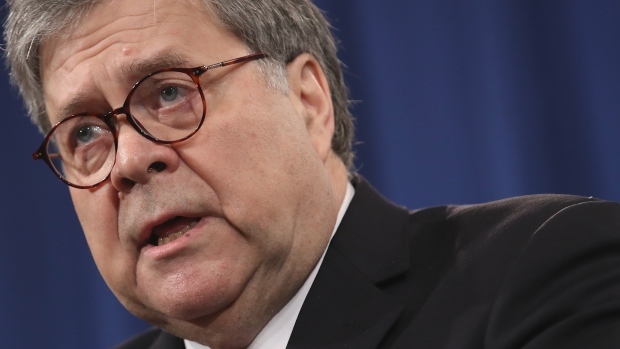 Trump and his lieutenants — with his hawkish national security adviser, John Bolton, a notable exception — have jumped on comments like this to frame the summit and used them to bolster their own direct, and extensive, private talks with senior North Koreans. South Korean President Moon Jae-in, a longtime dove who has met twice with Kim in recent weeks, "is putting tremendous faith in a sudden conversion of Kim Jong Un to better behavior," according to Robert Kelly, a political science professor at Pusan National University in Busan. This has led to "remarkable optimism" in the South, Kelly writes. "Again and again when I speak on panels in South Korea now, I am the lone hawk or skeptic." The optimists argue that since North Korea has declared itself capable of accurately targeting the entire United States with nuclear-tipped missiles — something many analysts think is still not quite possible — it's now ready to turn to Kim's other overwhelming concern: Bringing economic security to his impoverished nation of 25 million. To do that, Kim needs to ease crushing sanctions and somehow encourage investment. If outsiders provide enough money and security guarantees, the argument goes, the North will begin to ease its grip on its nukes. A recent analysis by Stratfor, a geopolitical analytical group, based on talks with North Korean contacts found that "Pyongyang is genuinely serious about this dialogue. They see this as a unique opportunity in dealing with an unconventional president like Trump." The North, according to the analysis, wants U.S. mining, mineral, IT and other investments. Kim's age also resonates with optimists. He's only 34 and may see diplomacy as the best way to stay in power long after Moon and Trump are gone from the scene. In a way, these folks have it easy. Calling themselves "realists," they simply need to point to all the so-called past breakthroughs that have crashed on the rocks of mistrust and acrimony. Joseph Yun, the top U.S. diplomat on North Korea policy until March, recently outlined how far apart the two sides are. Trump wants "immediate CVID (complete, verifiable and irreversible denuclearization), a difficult-to-grasp phrase that would elicit eye rolls from my North Korean counterparts whenever it was mentioned during our encounters." Kim, meanwhile, "is focused on the survival of his regime, beginning with the recognition of his country as a legitimate state, followed by an easing of economic sanctions," Yun wrote. "This mismatch between U.S. and North Korean goals has remained more or less consistent over the decades and has so far stymied all agreements that have emerged between the two sides since the first round of bilateral denuclearization negotiations in the early 1990s." Thae Yong Ho, a former senior North Korean diplomat who defected to the South in 2016, said recently that the idea that the North will completely denuclearize is a "fantasy." Kim Jong Un "will never accept a process of discarding nuclear weapons that would lead to the collapse of his absolute rule over North Korea." Skeptics also warn about the dangers of ridiculously high expectations surrounding the summit. Jeffrey Lewis, a U.S. arms control expert at the Middlebury Institute of International Studies at Monterey, recently titled an analysis: "Optimism About Korea Will Kill Us All: The first step toward peace is lowering your expectations." "North Korea has famously broken its previous pledges," writes Bruce Klingner, an analyst with the conservative Heritage Foundation think tank and former Korea specialist at the CIA. "Seoul and Washington must maintain sanctions against the North, and military deterrence, until Pyongyang proves it has truly altered its modus operandi. When you're approaching the altar with a serial philanderer, it's best to keep the divorce lawyer on speed dial." Pessimists note that North Korea has always balked at outside nuclear inspections, at demands from outsiders to close what the U.N. calls a massive system of prison camps where dissidents are tortured and killed, and at angering a powerful military that thrives on anti-U.S. and anti-South Korean sentiment. There could be some, if Trump and Kim can compromise. Yun, the former U.S. nuclear negotiator, laid out some "easy, immediate deliverables," including opening North Korea's main nuclear facility to inspections and monitoring by U.N. officials. A much more difficult, but crucial, "get" would be a full "declaration and accounting of all North Korean nuclear sites and fissile material." Trump and Kim can also silence skeptics in Washington, Seoul and Tokyo, Yun wrote, by producing "a clear timeline for the ultimate goal: the disablement and dismantlement of all North Korean nuclear and ICBM facilities, material and devices." Another, more limited result could be a North Korean agreement to freeze its missile and nuclear tests in return for U.S. sanctions relief and security assurance. In the end, some argue that this spate of unusual diplomacy should be judged less on whatever documents are signed than on the relationships that are forged. "Summits are when leaders size each other up, for better or for worse," writes Robert Carlin, a frequent visitor to North Korea, both as a U.S. official and outside analyst. "They are when every nerve strains to absorb, to calculate, to weigh. They are when leaders smile and sniff the air, when, over a glass of champagne, they gain their own impressions more vivid, more real than all the briefing papers, than all the intelligence, than all the murmurings of advisers."